Paragon CRT© can change the way you see...OVERNIGHT! You simply wear the therapeutic lenses at night and take them out in the morning. Safe. Non-surgical. Great for all ages. Have you ever wanted the ability to see clearly without wearing glasses or contacts and without surgery? Would you be interested in a contact lens worn while sleeping, and in the morning once you remove it, you can see clearly for all of your waking hours without glasses and contacts? Paragon CRT® is a specially designed therapeutic contact lens that gently and temporarily reshapes the cornea while you sleep. Through intense research and clinical testing, Paragon CRT has been FDA approved as both safe and effective for patients of all ages when worn during sleeping hours. 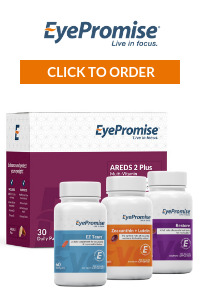 The result is great vision 24 hours a day - without lenses during waking hours and while they're in at night - with correction of myopia (nearsightedness) and myopia with astigmatism. No more torn lenses, no more broken frames, no more discomfort from dry eyes. Paragon CRT puts an end to these hassles. Whether you're playing sports, working in a dusty or windy environment, or simply applying makeup, with Corneal Refractive Therapy nothing stands between you and excellent vision. Dr. Rob Szeliga has trusted Paragon CRT and Corneal Refractive Therapy for his own eyes since 2002! FDA regulations require practitioners to successfully complete the Paragon CRT Certification test before fitting Paragon CRT lenses for Corneal Refractive Therapy. Call Spring Hill Eyecare, PLLC today and ask Dr. Rob Szeliga if Corneal Refractive Therapy with Paragon CRT is right for you. Make life without glasses and daytime contacts a reality. Because the next time you close your eyes, you could open them to a whole new world.